Hello everyone! It’s that time again – let’s get together, ride our bikes, drink some beer and have some fun conversations. For tonight’s right, we’ve decided to move things south a bit. Our reasoning is good – there’s some great breweries! Not only are they near the Platte River bike path, but Renegade was voted as Denver’s Best Brewery Tap House 2013! Most of these places have food trucks out front. If not, there’s excellent BBQ at Breckenridge Tasting Room. There’s also TRVE Brewing Company if we’re still thirsty after Renegade. 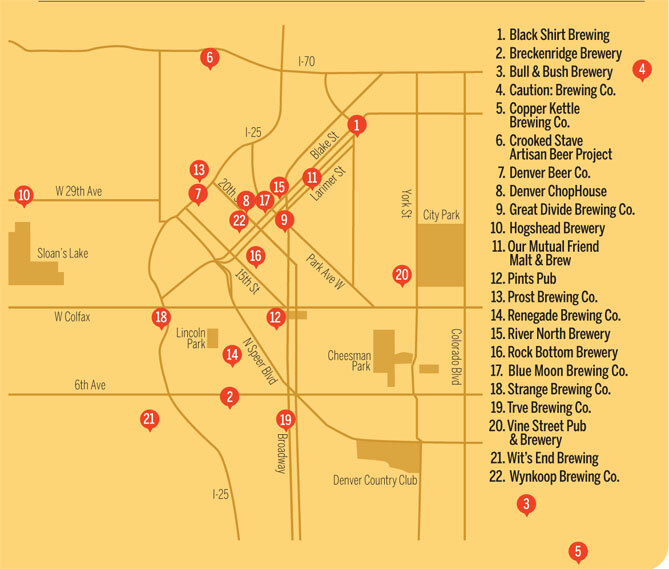 If you’re wondering where these locations are, 5280 Magazine has a nice map.